In a world not quite like this one, two lovers will be tested beyond their understanding. Machines Like Me occurs in an alternative 1980s London. Charlie, drifting through life and dodging full-time employment, is in love with Miranda, a bright student who lives with a terrible secret. 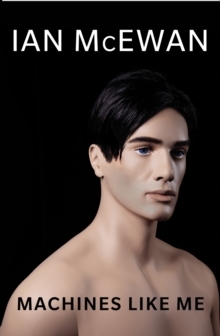 When Charlie comes into money, he buys Adam, one of the first batch of synthetic humans. With Miranda's assistance, he co-designs Adam's personality. This near-perfect human is beautiful, strong and clever - a love triangle soon forms. These three beings will confront a profound moral dilemma. Ian McEwan's subversive and entertaining new novel poses fundamental questions: what makes us human?